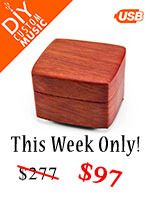 Here at Music Box Attic, we carry a variety of music box styles for children. 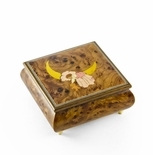 As young girls tend to prefer music boxes more than young boys, most of our options have feminine designs. 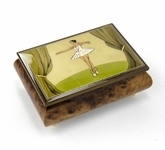 The ballerina music boxes are one of our most popular styles, while cartoon characters and clowns are also appealing to children of all ages. 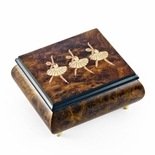 Ballerina music boxes feature classical tunes and twirling ballerina figurines inside. 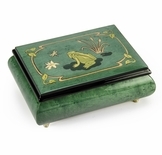 We carry artistic styles with olive green natural wood finishes and inlaid designs on the outside cover. 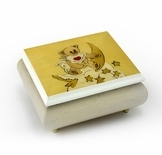 Some of our styles for younger children feature colorful designs and the music boxes are often painted in pink and white colors. 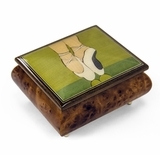 We carry various sizes and styles of these ballerina music boxes. 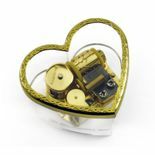 Our inlaid music boxes make classic gifts for children and even babies. 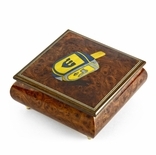 They have a natural burl elm wood finish and inlaid pictures that are appropriate for different ages of children. 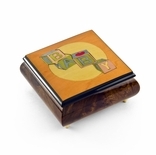 For instance, the music boxes inlaid with baby building blocks make great gifts for infants. 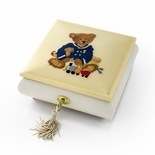 Other styles, such as carousel, clown, and teddy bear pictures can be appreciated by all ages of children. 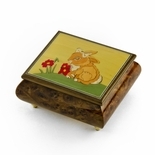 You may also want to consider purchasing a music box from our Beatrix Potter Collection. 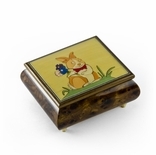 Choose Benjamin Rabbit or other Beatrix Potter characters. 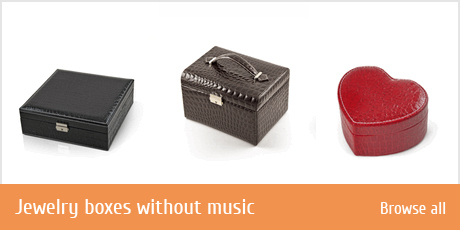 Each box includes a Swiss musical movement and you can choose a musical selection from our provided list. 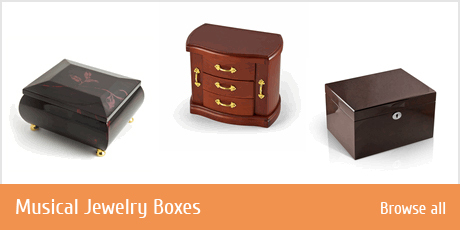 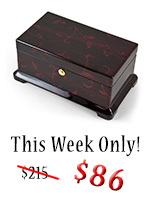 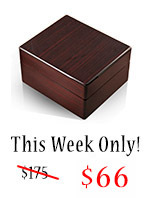 These boxes also include exquisite velvet linings in different colors.